A replica of a 1931 Ford Model A mail truck. During the 20th century, the U.S. Post Office Department began to increasingly rely on automobiles for the rapid and effective delivery of mail. First used in rural areas, mail trucks began to see increased use in urban areas starting from the 1930s with the entry of new mail trucks, such as the Ford Model A pictured here. Able to carry an enormous amount of mail, these trucks began to proliferate across the major cities of the United States. Additionally, various other mail vehicles were used depending on the location of the post office and the terrain that the vehicles needed to handle. For example, tinier tri-wheeled mail trucks would sometimes be used to tiny suburbs, while heftier and larger mail trucks would be used to traverse the dirt roads of the countryside to deliver mail in rural places. Original color digital image, September 2015: Orlando Remembered Exhibit, Downtown Orlando Post Office, Downtown Orlando, Florida. Digital reproduction of original color digital image, September 2015. Orlando Remembered Exhibit, St. James Cathedral School, Downtown Orlando, Florida. St. James Cathedral School Collection, Orlando Remembered Collection, Orlando Collection, Orange County Collection, RICHES of Central Florida. "Photo Gallery: Vehicles." United States Postal Service. 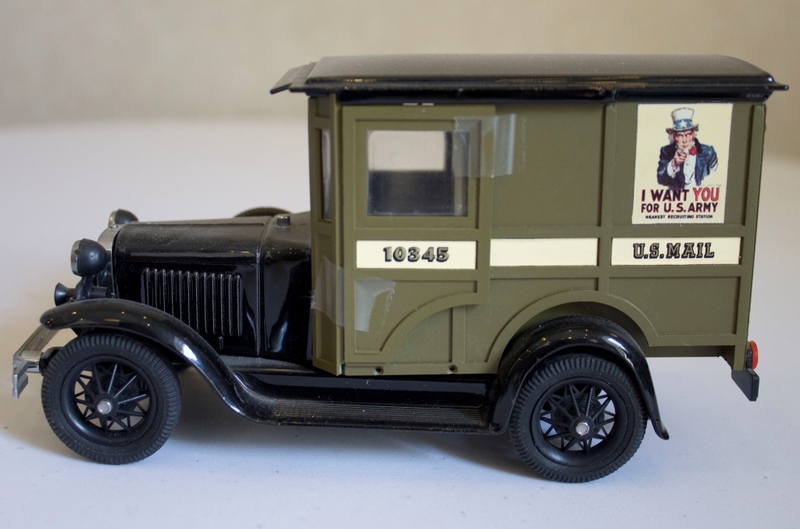 https://about.usps.com/who-we-are/postal-history/vehicles-gallery-details.htm?#p=1. 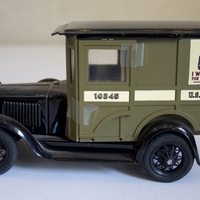 “Replica Mail Truck.” RICHES of Central Florida accessed April 20, 2019, https://richesmi.cah.ucf.edu/omeka/items/show/5606.